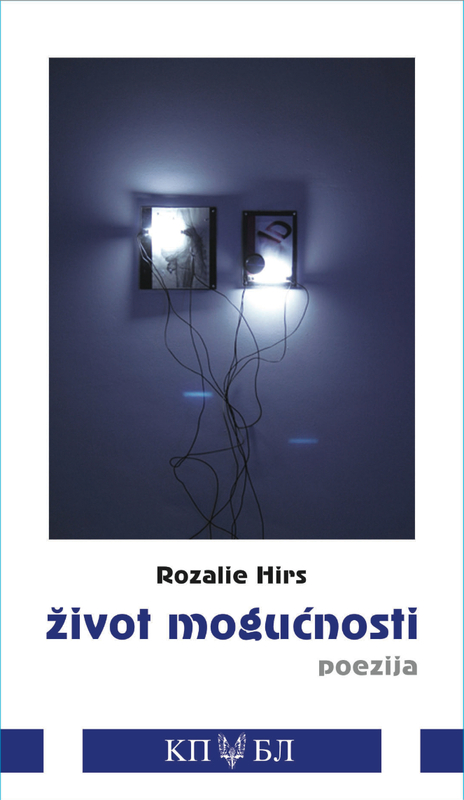 On 17 April at 19:00 hrs CET the new translated poetry book život mogućnosti by Rozalie Hirs is presented at Leila, Belgrade, Serbia. Hirs presents a performance lecture, including the performance of her composition Bridge of Babel (2009), a reading of her poems in several languages, and a discussion on interdisciplinary aspects of her work. The book, published by Zdravko Kecman, Kuća Poezije/Biblioteka Prevodi, Banja Luka, contains ninety poems by Rozalie Hirs, translated by Jelica Novaković and Radovan Lučić. The cover illustration of the book is by visual artist Harm van den Dorpel. The introduction is written by Laurens Ham. život mogućnosti (Serbian, Croatian translation: Jelica Novaković, Radovan Lučić), Banja Luka: Kuća Poezije/Biblioteka Prevodi, 2014. Bosnia & Herzegovina. ISBN 978-99-955-8050-6. 124 pages. On 15 April 2014 at 12:00 CET Bosnian poets and translators will be visiting Visoka škola za ekonomiju, Prijedor, for a debate with Rozalie Hirs on the new poetry book život mogućnosti, that was presented a day before in Banja Luka, Bosnia & Herzegovina. They read poems and translations from the book and discuss poetry, translation, and intermedial aspects of poetry. The book, published by Zdravko Kecman, Kuća Poezije/Biblioteka Prevodi, Banja Luka, contains ninety poems by Rozalie Hirs, translated by Jelica Novaković and Radovan Lučić. The cover illustration of the book is by visual artist Harm van den Dorpel. The introduction was written by Laurens Ham. 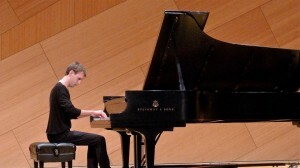 On 14 April 2014 Todd Moellenberg performs his recital Language Isolates, a collaboration with Matt Savitsky. Alonngside works by Katharina Rosenberger, Yvette Jackson, and Nicolee Kuester, he perform the music composition article 1 to 3 [the] [aleph] [a] (2003) by Rozalie Hirs. The location is UCSD, University of California San Diego, United States. Location: University of California San Diego, 9500 Gilman Drive, La Jolla, United States. On 14 April at 19:00 hrs CET the new translated poetry book život mogućnosti by Rozalie Hirs is presented at Banski Dvor Cultural Center, Banja Luka, Bosnia & Herzegovina. The book, published by Zdravko Kecman, Kuća Poezije/Biblioteka Prevodi, Banja Luka, contains ninety poems by Rozalie Hirs, translated by Jelica Novaković and Radovan Lučić. The cover illustration of the book is by visual artist Harm van den Dorpel. The introduction is written by Laurens Ham. You are cordially invited to the solo recital Language Isolates Todd Moellenberg will perform on 14 April 2014 at UCSD, University of California San Diego in collaboration with visual artist Matt Savitsky. Alongside works by Katharina Rosenberger, Yvette Jackson, and Nicolee Kuester, Moellenberg will play article 1 to 3 [the] [aleph] [a] by Rozalie Hirs. On 14 April 2014 at 10:30 Rozalie Hirs presents a performance lecture at the Filološki fakultet (Department of Philology, Banja Luka, Bosnia & Herzegovina, about her work and its intermedial aspects. Rozalie Hirs reads her poems in several languages and performs a few electroacoustic compositions based on own texts, followed by a discussion of her approaches towards the creative process. The lecture is part of the lectures series around the presentation of the new poetry book život mogućnosti. On 13 April 2014 Fie Schouten presents a solo recital at het noordbrabants museum, Den Bosch, The Netherlands. 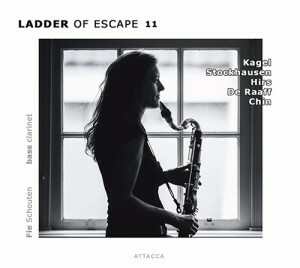 She performs the music composition article 7 [seven ways to climb a mountain] (2012) voor bass clarinet and electronics sounds, as well as a brandnew work by Ig Henneman. 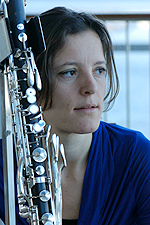 You are cordially invited to the solo recital by Fie Schouten (bass clarinet) on Sunday 13 April 2014 at 15:00 CET in Noordbrabants Museum, Den Bosch, The Netherlands. Fie will perform Riassunto (2014) by Ig Henneman and article 7 [seven ways to climb a mountain] (2012) by Rozalie Hirs. The concert is part of the bass clarinet festival festival. With much pleasure I herewith announce the brandnew CD ‘Ladder of Escape’ No. 11 by Fie Schouten (bass clarinet), published by Attacca Productions, Amsterdam, The Netherlands. This week, during the bass clarinet festival, the CD is available for a reduced price of €10. ￼ On 9 April 2014 is the offical first screening of Imperfect harmony, the new documentary by Carmen Cobos about the music composition Mysteriën by Louis Andriessen, at Lantaren/Venster, Rotterdam, The Netherlands. Afterwards a round table discussion takes place moderated by Lex Bohlmeijer. The guests are Neil Wallace (artistic director De Doelen & Red Sofa concertseries), Hans Leenders (conductor), Yannick Hiwatt (jazz violinist, composer), Florian Maier (composer), and Rozalie Hirs (composer). You are cordially invited to the presentation of život mogućnosti by Rozalie Hirs in Banja Luka and Belgrade. This poetry book is published by Zdravko Kecman, Biblioteka Prevodi, Banja Luka. It contains about ninety poems, translated by Jelica Novaković and Radovan Lučić, and an essay by Laurens Ham. The cover illustration is by Harm van den Dorpel. The poems are a selection from five poetry books published by Uitgeverij Querido, Amsterdam, The Netherlands. The new book is supported by the Dutch Foundation for Literature. * 14 April 2014 10:30 Lecture & reading. Filološki fakultet, Odsjek za engleski jezik, Bulevar vojvode Petra Bojovića 1a, Banja Luka, Bosnia & Herzegovina. * 14 April 2014 19:00 Book presentation. Banski dvor, Kulturni centar, Trg srpskih vladara 1, Banja Luka, Bosnia & Herzegovina. With Rozalie Hirs, Zdravko Kecman, Milenko Stojičić, Aleksandra Čvorović, Minja Golubović. * 15 April 2014 12:00 Lectures and Debate. Visoka škola za ekonomiju i informatiku, Ulica Mitropolita Petra Zimonića, Prijedor, Bosnia & Herzegovina. With Rozalie Hirs, Zdravko Kecman, Živko Malešević, Branislav Kecman, Ivana Kitonjić. * 17 April 2014 19:00 Book presentation. Leila, Kralja Petra 41, 11000 Belgrade, Serbia. život mogućnosti (Serbian, Croatian translation: Jelica Novaković, Radovan Lučić), Banja Luka: Biblioteka Prevodi, 2014. ISBN 978-99-955-8050-6. 124pp. The open-air museum Sound Forest (Klankenbos) recently has added a new work to its permanent collection: Curvices (2013) by Rozalie Hirs (music, poetry), Cox & Grusenmeyer (design, animation), Yvan Vander Sanden (software design, realisation), and Machiel Spaan (spatial design) is an application for mobile devices (smartphones, iPads, tablets), combining music, poetry, and animations. Your walk through the forest determines in which way you perceive the work. On 6 April 2014, the first Sunday of the month, there is an opportunity to discover the work during Sound Forrest Extra. At this event between 13:00 and 16hrs CET you can rent a tablet for €3 to set out on your sound walk. For whom prefers a guided tour, there is chance to follow a guide through the forest either at 13:30 or 15:30 hrs. The guide opens up your ears and eyes towards a new perception of the works that are part of Sound Forest (Klankenbos).